Paradise in East Wall (Book Launch – June 26) | Come Here To Me! 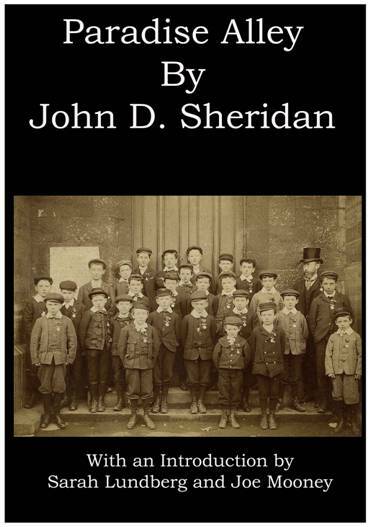 Tuesday, June 26th sees the launch of a reprint of John D Sheridan’s classic account of working class life in Dublin’s docklands during the Lockout. “Paradise Alley” was first published in 1945 by Talbot Press and has been largely unavailable for half a century. This new edition, from Seven Towers, a not for profit publishing house, features an introduction by Sarah Lundberg and Joe Mooney of the East Wall History Group. It will be launched by Caitriona Crowe of the National Archives at St Joseph’s Co-Ed National School, East Wall Road, at 7.30pm on Tuesday. The East Wall History Group has been doing sterling work to help collate the working class, radical and social history of their area. Tomorrow’s book launch is their latest event. It certainly won’t be their last.